Guide for the hero Sephera, a character in Arena of Valor (AoV). Included are Sephera’s abilities, statistics, attributes, strengths, weaknesses, and more. When Sephera uses any of her abilities, she triggers additional powers in the water, dealing 201 (+0.15 AP)ˀ magic damage to the nearby enemy hero with the lowest HP, and heals the nearby ally hero with the lowest HP for 134 (+0.1 AP). 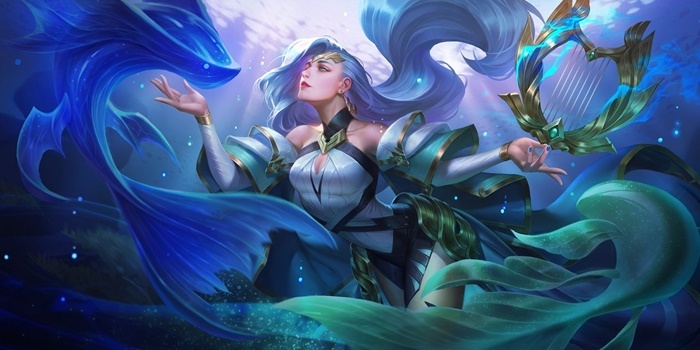 Sephera summons a Water Spirit that attacks 3 enemies nearby (prioritizes enemy heroes), dealing 300/340/380/420/460/500 (+0.4 AP) magic damage and reducing their movement speed by 50% for 1 second. Her next normal attack after using this ability deals an additional 250/280/310/340/370/400 (+0.3 AP) magic damage and reduces cooldowns of all abilities by 1 second. Sephera increases her own movement speed by 40% for a short period of time. After 1.5 seconds, a wall of water spawns, dealing 300/360/420/480/540/600 (+0.4 AP) magic damage to nearby enemies and stunning them for 0.75 seconds. The “wall” is a relatively thin ring that extends from 500 to 800 units around Sephera. Enemies must be hit by the ring to be stunned – any enemies within 500 units of Sephera will not be affected. Opponents cannot see the wall ring if Sephera is hidden in the bushes. However, Living Water will reveal Sephera if she damages an enemy, so make sure to start Wall of Water more than 800 units away if you wish to hide yourself and the ring. Sephera enters a whirlpool, healing nearby allies for 500/650/800 (+0.75 AP) and dealing 600/800/1000 (+0.9 AP) magic damage to nearby enemies. She cannot be targeted for 1.7 seconds while inside the whirlpool. Though Sephera is impervious to any control effects after casting Tide of Life, it does NOT remove slows that she is already affected by. She also cannot cast it if stunned/frozen/etc. After using Water Spirits, Sephera’s next normal attack deals additional damage and slows down enemies. Use this to your advantage and stop enemy heroes from advancing early in the match. When they get closer, use Tide of Life to become untargetable and Wall of Water to get away from them. Our recommended order for Sephera abilities as she levels up. 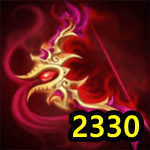 See all of Sephera’s item builds.